Police Sunday identified the woman who was shot to death when she got out of a car and approached another vehicle in the Skyline neighborhood of San Diego late Saturday, authorities said. 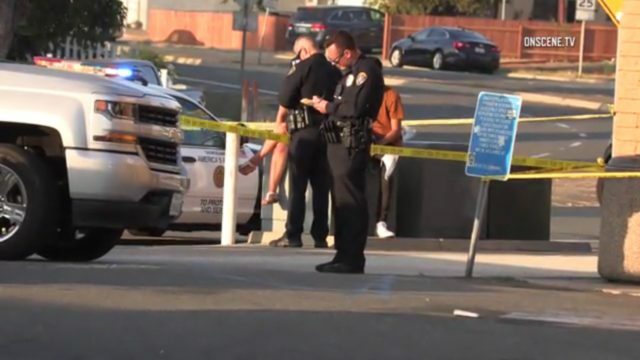 San Diego resident Sylvanita Widman, 27, was shot at about 5:30 p.m. Saturday at South Meadowbrook Drive and Skyline Drive, San Diego police Lt. Matt Dobbs said. Widman was in a car with a companion stopped behind another car for a red light, Dobbs said. For reasons that are unclear, she got out of the car and approached the vehicle stopped ahead. Witnesses reported hearing a gunshot, and Widman stumbled away before collapsing in a parking lot, Dobbs said. The suspect, who drove away northbound on Meadowbrook Drive, has been described as a black male in his 20s to 30s driving a black two-door Mercedes Benz. Widman was taken to a hospital, where she died, Dobbs said. Police asked anyone with information about the shooting was asked to call homicide detectives at (619) 531-2293 or the anonymous Crime Stoppers tip line at (888) 580-8477.